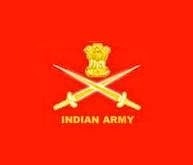 Indian Army Course For Law Graduates Jobs Recruitment 2014: Indian Army,Jag Entry Scheme 13th OCt-2014 SHORT SERVICE COMMISSION Is Published a Notification for the Recruitment of 10 Law Graduates Posts for Male& Female Applicants. Indian Army Course for Law Graduates Jobs Recruitment Online Application form Download Last date 14-02-2014. Indian Army Course Law Graduates Jobs Recruitment 2014 Online Application Form Download. Education : The applied and Interested Candidates Must Complete LLB Degree with 55% aggregate marks and should be eligible for Registration with Bart Council of Indian . Selection Process: Indian Army Course For Law Graduates Jobs Recruitment the applicants and Interested Candidates will be selected based on Psychological Aptitude test, Medical Examination & Interview. How to apply : The Eligible Candidates Can apply Prescribed format along with all required document like educational, Age Proof and more supported document are attested ans should be sent to DRECTOR GENERAL OF RECRUITING , Army HeadQuarters West Block -III , RK-Puram, New Delhi.